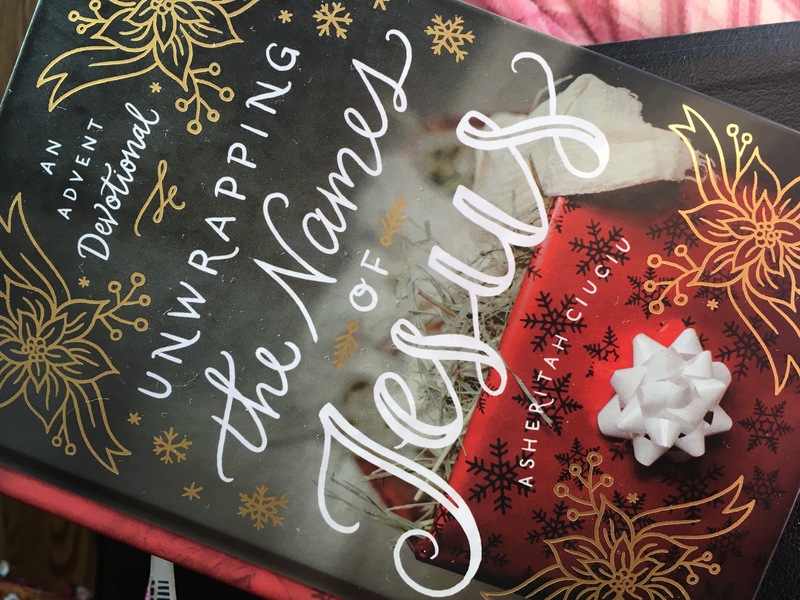 A couple of years ago I received, in ebook form, Unwrapping the Names of Jesus by Asheritah Ciuciu. This advent devotion is so good, and I am thrilled to have a hardback print copy of the book now. The table of contents is divided by weeks and days, rather than by chapters, in keeping with the rhythm of Advent observance. And there are “activities” for each week. One thing I love about this devotion is that each item, while quite simple, is deeply satisfying or stirring. Depending on where the reader is in their own journey, one can take the devotions simply, or dig deeper. I find the Christmas season can be very hectic and over stimulating, so I am particularly thankful for the simplicity of Unwrapping the Names of Jesus. Unwrapping the Names of Jesus is an advent devotion, but don’t let that limit you! I am keeping this book in the short stack with my Bible. Each devotion is short, but steeped in rich exposition of Biblical passages. There are more Scriptures listed for each devotion, for deeper study. Once a week or so, I will be pulling this book off the stack to continue reading and pondering the character of Jesus through His names, through the winter months. For some years now, I’ve read the author’s blog, One Thing Alone, and greatly appreciate Asheritah’s love for God’s Word and His people. This copy of Unwrapping the Names of Jesus was sent to my by Moody Publishing in exchange for this review.